Everyone who has lived has a unique story to tell. Your story may not be sensational or even interesting to yourself but it will be interesting to your family and to future generations. We need to record our life story so that future generations will know who we were and how we lived. The way you live now and the decisions you have made may very well influence the way your future generations live. The world is changing rapidly, what may seem ‘normal’ to us now, will be vastly different in the future, record your time in history. Telling your life story doesn’t have to be complicated. A basic story is better than no story at all. Courses– 2 hours one day per week for a term. Each week you will focus on a different aspect of your life, using worksheets and receiving personal assistance. Contact me for course locations and dates. Monthly Workshops– 2 hours one day per month. Work on your story at a slower pace using the contents of your starter kit. $10.00 per workshop. Contact me for workshop location and dates. 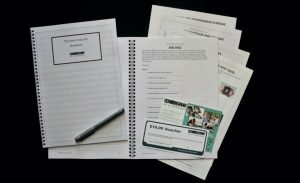 Each kit contains an easy to follow workbook which chronologically goes through each stage of your life story. Each section has questions to prompt your memories. Each section also comes with an ‘additional information’ page where you can expand further on your answers or add further information not covered by the questions. If you would like to add photos or memorabilia to your story, suggestions are also given of what you may include. If you don’t feel able to record your life story yourself, one-on-one interviews are available. Typically we will require 4-6 interviews to complete your story. Each interview goes for 2 hours. We can come to your home or meet in a mutually suitable location (Sydney only). Interviews are relaxed and conversational. Your final story will be more personalised and unique to your path in life. If you would like to include photos and/or memorabilia with your story we will assist you in choosing those that are most appropriate for your story. Photos and memorabilia will be scanned and referenced into your story. At the end of each interview we will type up a draft of your story so far and give you the opportunity to edit or change any information. When you are happy with the complete final draft we will format your story and photos and print your book. A well presented Life Story will be a special legacy for your family. 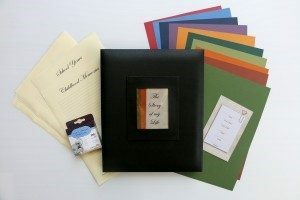 You can present your story yourself using a DIY album kit or we can do it for you. 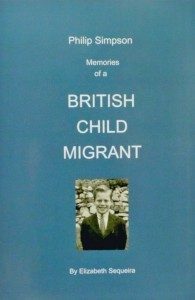 Alternatively a printed book can be made up for you which would allow you to have multiple copies for other family members. Present your story simply and safely in an archive quality album. Your Album Kit contains everything you need to complete a 40 page album. Additional pages and supplies can be purchased. 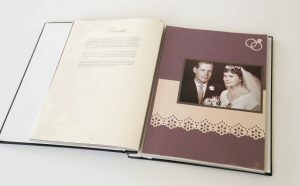 Provide us with your completed workbook and chosen photos and memorabilia and we will make up a beautiful archive quality album keepsake displaying your story. If you would multiple copies made of your story we recommend a printed book. Once again, providing us with your completed workbook, photos and memorabilia we can create a professionally looking printed book. Additional copies of your book can be printed for other family members to enjoy.